Nikola Tesla was a visionary physicist and inventor of the twentieth century. Born in an Orthodox Christian household in 1856 in Serbia, Tesla studied in Austria and Prague and later migrated to the USA where he stayed till his death in 1943. He is often referred to as the “ultimate mad scientist” and perhaps for good reason. With hundreds of patents and countless unpatented inventions, Nikola Tesla’s contributions to modern science are unparalleled to date. His most widely accredited contribution is the alternating current model of electricity distribution. Before this, electricity distribution was based on Thomas Edison’s direct current model which was more costly and covered considerably shorter distances. Tesla and Edison were professional arch rivals, even though Tesla initially worked for Edison at the “Continental Edison Company” in France. Tesla’s model made the process much more efficient and affordable, enabled widespread electricity distribution over thousands of miles with minimal loss, and is still the globally used standard today. Nikola Tesla’s contributions were as marvelous as they were awe inspiring. His fields of interest included physics, electrical engineering, mechanical engineering, robotics, hydro electricity and X-rays. 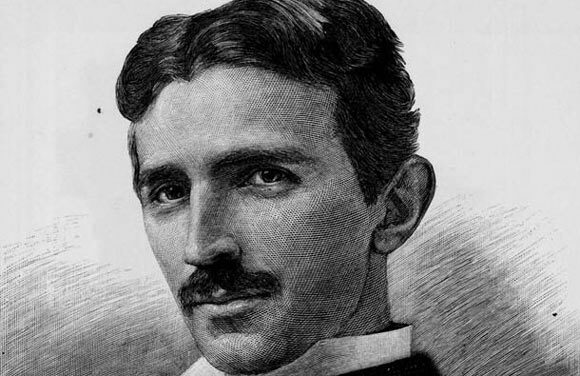 His comprehensive list of inventions includes the first hydro electric power plant built at the Niagara Falls, the remote control, electricity generator, electric motor, laser, wireless communication, neon lights and the famous “Tesla Coil” which was a machine he invented to generate extremely high voltage electricity and is the foundation of several other important developments including the radio transmitter. In fact, the US patent office retracted the patent originally issued to Guglielmo Marconi for the invention of the radio and credited it to Nikola Tesla instead as he had made a similar model several years earlier. Tesla would envision his inventions in great detail in his mind, and then begin working on building a practical model. That is why not a great deal of documentation exists regarding his work. He had the ability to solve complex equations in his head, and is even quoted to have had a photographic memory according to some experts. Tesla successfully conducted experiments using his own equipment that still baffles scientists today. His ideas have often been said to be futuristic and sometimes even dangerous. He was reportedly designing a “Teleforce Beam” which could zap anything within a 200 mile radius out of existence, although this idea never materialized as a practical invention. The FBI confiscated Tesla’s personal belongings and designs upon his death. One astounding fact about Tesla was that his interests were not just limited to his profession. He also enjoyed fine dining, music and poetry and was fluent in eight languages including Hungarian, Italian and Latin. He was well spoken and polite when he was in company, although he was mostly a recluse with meticulously precise habits and lifestyle. Nikola Tesla was never married and is rumored to have been celibate his whole life. He was prone to nervous breakdowns and probably suffered from OCD. He slept very little and worked long hours, sometimes going days without sleep. He was a humanitarian and a spiritual man, and admired Buddhist and Christian teachings while being severely opposed to religious fanaticism. He cared for the environment and professed his concern at the rapid depletion of available resources on the planet. This genius, however, was not given the fame and recognition he deserved during his lifetime and in spite of the hundreds of patents under his name, Tesla died practically penniless at the age of 86. Since then he has gained monumental fame and recognition, including several societies, plaques, statues and even the name of a small planet!